Participating in the Reliance Home Comfort sponsored Habitat for Humanity International Women’s Day in Hamilton, Ont. were: (from left to right, behind) Katie Barnes, Brittany Dent, Tina Kalogeropoulos, Disha Patel, Deren Manu, Agartha Manu, Jenn Bromley, Paul Martin, Antoinette Kong, Demi Tsioros, Bita Momeni, Judy Plantinga, John Celeste, (from left to right, in front) Stuart Slater, Anita Choi-Gibson, Natalie Busnarda, Rachel Hilling, Carla Agostino, Robert Johnson, and Walt Bayliss. Even though it’s 2019, there are still few women that choose a career in the trades. However, this does seem to be changing each year. In honour of International Women’s Day on March 8, Reliance Home Comfort paired with Habitat for Humanity Hamilton for a women’s only event. 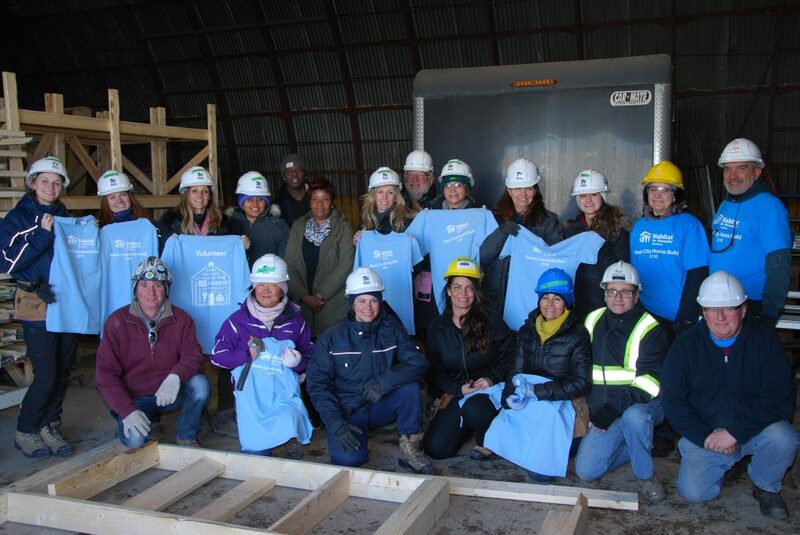 Fourteen women came together to work with the volunteers and staff of Habitat for Humanity Hamilton on a house that will be going to a local family – Agartha, a single mother, and her three children. Natalie Busnarda, Reliance Home Comfort, jokes around with another volunteer while they prepare to make window sections. The day started off early with training for the volunteers, after which the project moved into an assembly line-like fashion in a warehouse being used to pre-fab the home. Part of the team worked on corner panels while others cut two-by-fours for wall sections. Measure. Cut. Stack. Repeat. After lunch, the team made window sections. The pieces will be assembled on the construction site at a later date. Over the course of construction, hundreds of volunteers will have had their hands on the house, and each will sign a piece of the house. Several of long-term volunteers mentioned that all-female teams tend to be their favourite to work with because sometimes the male workers can get a bit too confident which is when most mistakes are made. 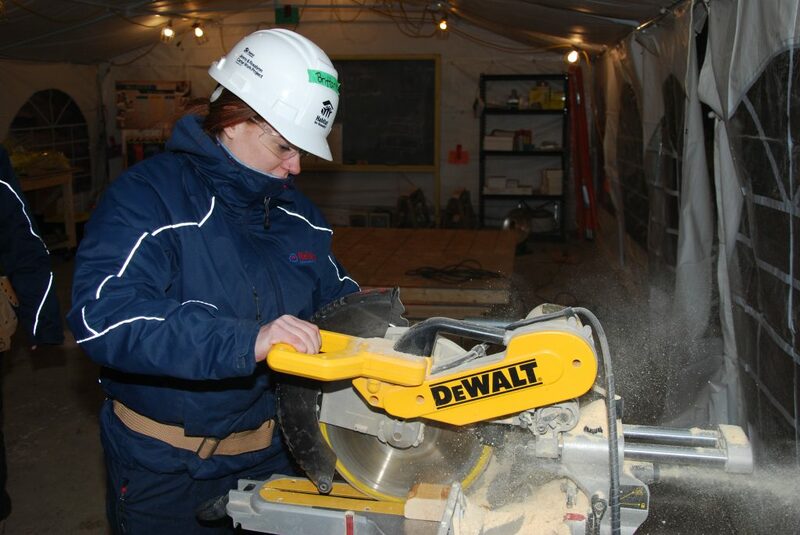 Brittany Dent, Reliance Home Comfort, learns how to properly use a table saw to cut pieces of wood that will later be used as panels for the wall. Habitat for Humanity Hamilton is one of 54 local affiliates across Canada. Applicants for the homeowner program must meet certain qualifications. Currently, they must have an income of at least $25,000 a year, complete 500 hours of volunteer work in the build, be a parent or guardian of at least one child under the age of 13, carry a minimal debt load and they cannot be a previous homeowner.